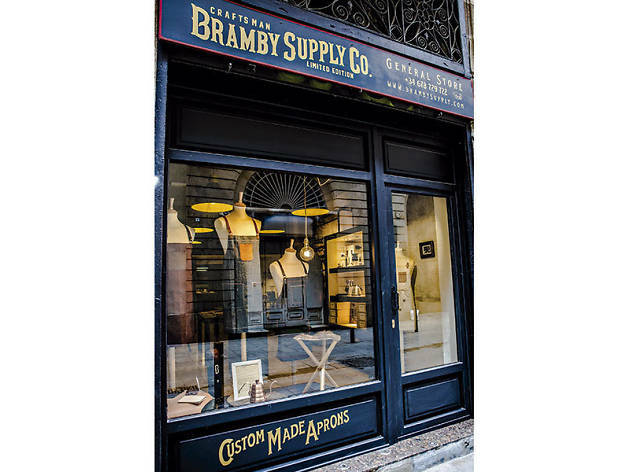 Bramby Supply is a workshop and store that's just next to the famed Palau de la Música Catalana. 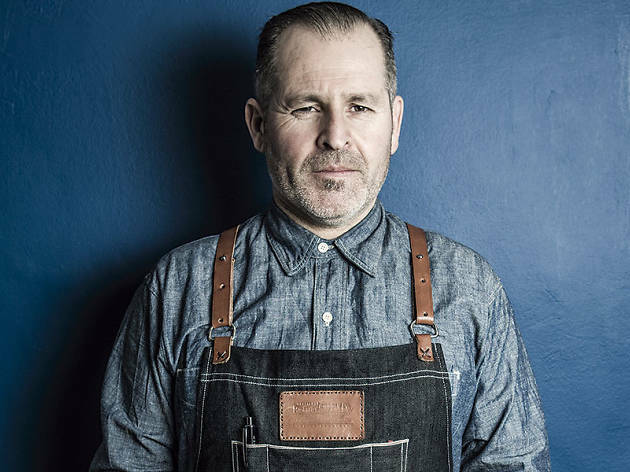 The small window display piques your curiosity – why isn't there anything else but aprons? 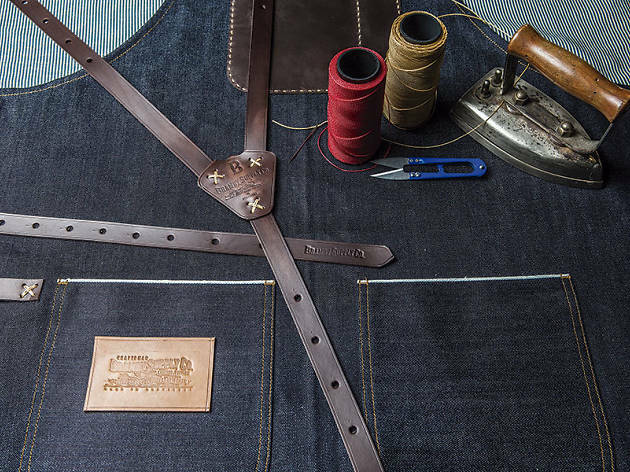 The answer is simple enough: the Kuroki denim aprons – with leather straps that cross at the back to keep the weight off your cervicals – are the star product of the shop, though Fernando Brambila, aka Bramby, also works with a type of canvas material that's available in various colours. 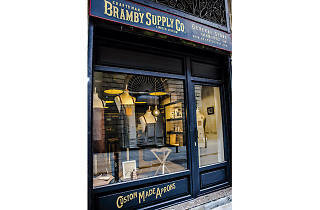 Bramby has managed to bring his two great passions together in this singular project. 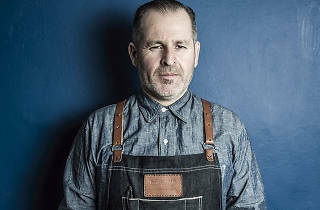 On one hand, you've got aprons, which are a must for anyone who likes to cook; and on the other hand it's the denim, a fabric he's worn his whole life. 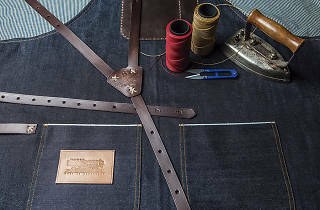 He's got no shortage of special orders to make customised aprons nor of ideas for exploiting the possibilities of the combination of denim and leather, whether it's for making unisex bags or small leather goods in addition to the aprons.